3D printers are pretty incredible things, right? Serial modder Ben Heck thinks so too, especially considering how so many of the parts for his various projects were made on one. For his latest project, Ben not only made a 3D printer, but a smaller, more portable kind of 3D printer. Meet the Briefcase Printer. The briefcase Printer project is actually based on a 3D printer Ben created in a previous show (named the Birdstruder), but with extra features. One of the main aims of the Printer Briefcase was to make it more portable, which means making it slimmer--something the majority of 3D printers are not. 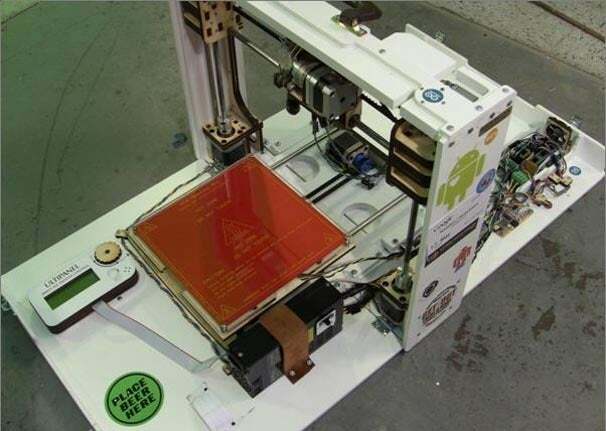 He also made the printer mod autonomous, meaning if you were caught without a computer, you could print from a CAD file stored on an SD card. The new printer is just 5 inches thick, and can fit in the overhead luggage compartment on an airplane. To print, two panels drop down on either side of the main printer body, allowing the object to glide through as it‘s being printed. The most important part of making the briefcase printer was wiring up the Y carriage extruder (this heats up plastic and pushes it through a nozzle) and the Y carriage itself, which runs along the track while an object is printed. There is also a small controller, which uses readily available code to tell the printer what to do, though Ben admits it is much easier to control it from your PC. You can use software like Pronterface for this. Although it looks a little tricky to put together, the project is really impressive. That said, if you’re new to wiring things up and coding you may want to give this one a miss and perhaps wait for a more streamlined 3D printer to go on sale. If you are looking for a challenge, though, head over to Element14 to watch Ben put it together, and provide a few pointers.